Below is a bullet point summary of Thursday’s meeting you can also download a PDF copy (74KB). 25 Crosspool residents, Cllr Geoff Smith, and 7 members of the Forum Management Committee attended. A guest gave a presentations :. from April meeting – none. Fire incident, Tapton School, caretakers’ lodge. Watt Lane burglaries – thieves targeting houses with Audis & BMWs, to get the car keys. Car air bag thefts (so the steering wheel is taken as well) – again same make of car. Residents are advised to cover the wheel with a disc lock. Available at cost from Ecclesfield Police Station (321 The Common, A6135) or motoring shops. Tavern Garage complaints; the service station appears to be exceeding its working hours & overlapping the pavement & highway – dangerous equipment such as a hoist used too close to pedestrians. Cllr Smith will liaise with PC Atha & the Council about this. Ongoing & new police ‘ops’ – Crosspool & Fulwood anti-burglary & car crime; and next week the start of a force-wide scrap metal collecting van operation. Government policy on school catchment areas? Sadly the higher number of Lydgate Primary School catchment children this September than the places physically available has meant 48 children will not get their first choice. (In 2013 there appear to be far fewer children of this age range, but from ’14 on the problem may arise again). Local roads – shocking state of; Cllr Smith said any immediate concerns (potholes etc.) are still to go to Streetforce. The PFI Highways initiative will not start until later this year and will, after liaison with the utilities in any given area, be operationally-driven. The first 5 years will cover bringing the Sheffield highways network up to standard; pavements, street lighting, road reconstruction & tree management etc., cost 2billion (£800million (Council) & £1.2 billion (Government), & be followed by continued maintenance throughout the remaining 20 years of the contract . Residents will be able to a certain extent suggest replacement trees for any removed as causing obstructions. We must accept this will be “incredibly disruptive” to the city. Public Transport – getting people back on the buses! Some £56 million is going into local transport, & there will be new low-carbon buses – but not necessarily on the no. 51 route. In Oct the route will change slightly (avoiding Mappin St) & First Buses has pledged to have more buses & drivers available to match the timetable. It is known there are 6 Crookes buses, & 3 Fulwood ones, to every Crosspool/Lodge moor no. 51. Historic buildings? Jeremy Hunt (Culture Secretary)replied to Mr Clegg & Cllr Rob Frost but just said although he has a duty to compile a list of buildings of special architectural or historical value, this did not necessarily prevent their alteration or demolition. ( There appears to be nothing more to be said about Moor View Farm, Manchester Rd, at the moment). Monopolies Commission & a new Sainsbury’s at Broomhill? A question as raised as to why Sainsbury is apparently being granted permission to build another store here. Vernon Tce bus shelter – as the site is too narrow this can never go ahead. Geoff Smith was asked to look into why Veolia will only accept card payments for the purchase of green waste bagsthis year. The ‘20s Plenty’ scheme has decided to designate the ‘Steel Bank area (Crookes, Commonside, Walkley) for the signage to make it a 20 zone, though this may take a year to implement. Crosspool Festival Week – Rev France Eccleston said this had been very successful – & we had two dry weekends!- Some £1524 was raised for the Ryegate Child centre Fund. Residents were asked to contact the committee if they wish to help nest year – the Open Gardens scheme will need a new organizer. The Summer Fayre; Ian Hague said thiswent well – £726 was made, all to go back to the community. The Union flags in the precinct have proved very popular – these were erected for the Jubilee and will stay up until the Olympics are over. The Car Boot Sale was a wash-out this June, but it is hoped another can be held in September. Disco – after the success of the Christmas one Ian is hoping to hold another. Computer course; this has proved very popular again; Ian expects to hold more in Sep 2012 – names to him please. There will be a beginners’ course, advanced (internet) course, & possibly desk top publishing course. Kate Hill gave a presentation about her website – FunMeFit – a portal for the whole of Sheffield to get active, & to share their activities on. She hopes to run a Fun Day on 16th Sep at Hallam Cricket Club to fund-raise for this. The Crosspool bench (outside Guidos & by the bus shelter) is broken and badly needs repair; Tammy Barrass (SWCA) agreed to see if this could be done . Manchester Rd roadworks (beyond Valleyside Garden Centre). There have been chicanes & traffic lights for some weeks.but work is due to end by October. The next Open Meeting will be Thurs, 25th October 2012. 7pm, St Columba’s. This entry was posted in council, crosspool, meetings, minutes, sheffield, shops, waste and tagged crosspool forum, deborah pickering, geoff smith, louise atha, open meeting, pcso garry hizam, st columba's, veolia, vernon terrace. Bookmark the permalink. 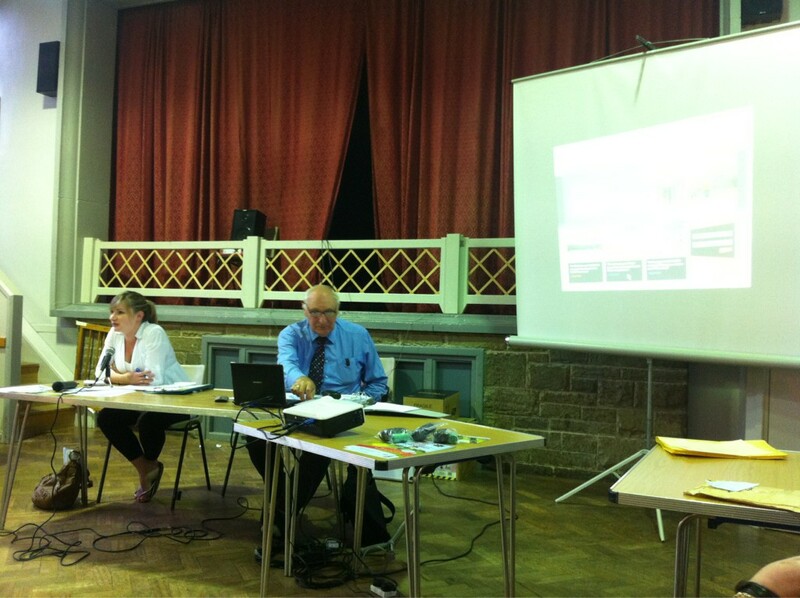 At the Crosspool Forum meeting on 26 July I promised to look into a number of issues that were raised. Here are the responses. ‘Unfortunately we do not store the sacks at our offices on Lumley Street so customers cannot collect the clear sacks in person. To purchase clear sacks customers can post a cheque or postal order to us supplying their details and a contact telephone number. Alternatively they can contact our call centre between 8am and 6pm, Monday to Friday on: 0114 273 4567 our customer service team will take the address and payment details. Customers can pay using most debit or credit cards. The charge is £1.20 per sack including VAT with a minimum order of 10 sacks. Once we receive the payment we will deliver the sacks within 5 working days. I have included a link to our website so you can find further information relating to this service. I have found out further details and I will liaise with the police and relevant Council officers. I explained that First was going to try and improve the service from the end of October 2012. I was asked if this would include new buses. This is the limited response I received from First which I will follow up in due course.